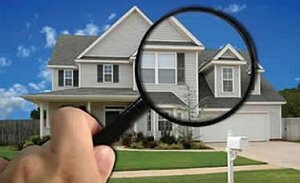 Tri-State Home Inspection is proud to serve Arkansas and Missouri with quality home inspection services. We offer Pre-Purchase as well as Pre-Sale home inspections, Commercial Building Inspections, and New Costruction Phase Inspection on new building projects. The company is located in Rogers, Arkansas and began operations in 2008. Tri State Home Inspection offers professional home inspection services in Arkansas and Missouri. Blake Riley is the owner/manager for Tri-State Home Inspection and also serves as the Past President of The Arkansas Association of Real Estate Inspectors. Mr. Riley is a true professional and is respected by his peers. He is knowledgeable in all areas of residential real estate and has expertise in plumbing and electrical systems. Protect yourself when you purchase a home by ordering a quality home inspection report from Tri-State Home Inspection. Don't rely on luck or a quick glance when purchasing real estate. Get the facts about the condition of a home before you close. You'll be glad you did! Order a Free Online Quote today or call Tri State Home Inspection at 479 899-7654.